Year 1985, mechanical and bodywork completely restored, over 450 Hp, very rare car, confidential negotiations after vision. 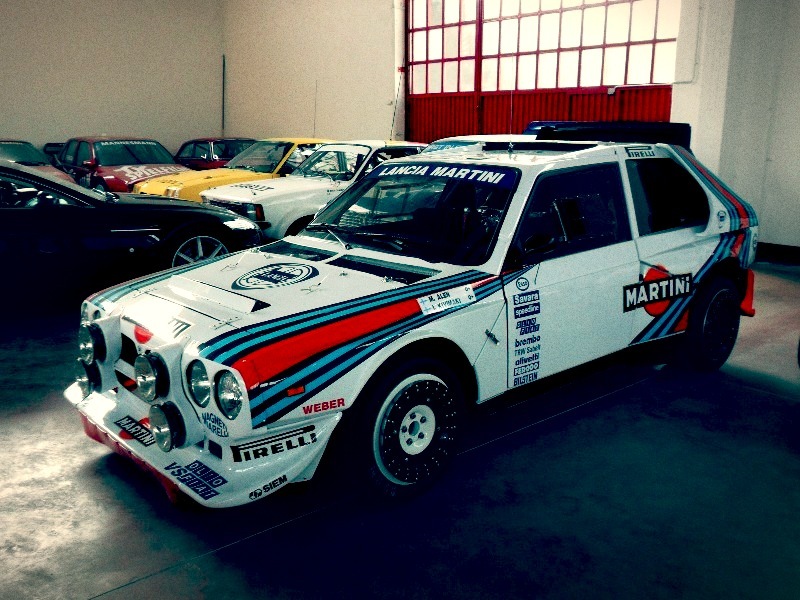 The Lancia Delta S4 is a Group B rally car from the Italian car company Lancia. The Delta S4 competed in the World Rally Championship in 1985 and 1986, until Group B cars were banned from competition by the FIA. The car replaced and was an evolution of the Lancia 037. The S4 took full advantage of the Group B regulations, and featured a midship-mounted engine and all-wheel drive for superior traction on loose surfaces. In competition the car won its first event, the 1985 RAC Rally in the hands of Henri Toivonen and carried Markku Alén to second in the drivers’ championship the following year. For two weeks after the end of the 1986 season Alen was champion until the FIA annulled the results of the Sanremo Rally due to irregular technical scrutineering. Alén had won that event and the loss of points handed the title to Peugeot’s Juha Kankkunen. All told, in 1986 there were 3 wins for the Delta S4 (San Remo not included). The Monte Carlo Rally by Toivonen, Rally Argentina by Massimo Biasion and the Olympus Rally by Alén. The car also won the 1986 European Rally Championship with Italian driver Fabrizio Tabaton, whose car was run by Italian team HF GRIFONE in ESSO livery. The factory supported Jolly Club team also ran cars in TOTIP livery, one of which was for Dario Cerrato. The car’s legacy was tainted by the fatal crashes of Toivonen and co-driver Sergio Cresto on the 1986 Tour de Corse, where the Finnish driver inexplicably missed a tight left-hand hairpin bend and plunged into a ravine, incinerating the car and the two drivers.